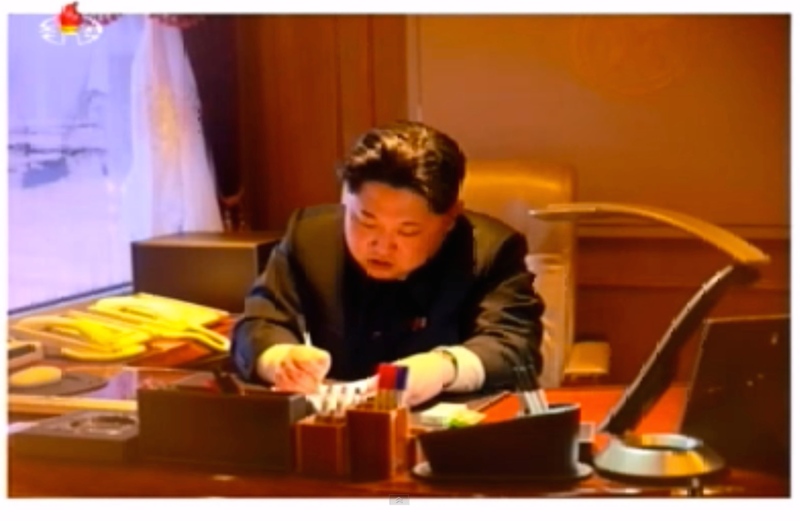 Image of Kim Jong Un authorizing the launch of Kwangmyo’ngso’ng-4 shown during a special news bulletin on Korean Central Television on February 7, 2016 (Photo: KCTV screengrab). 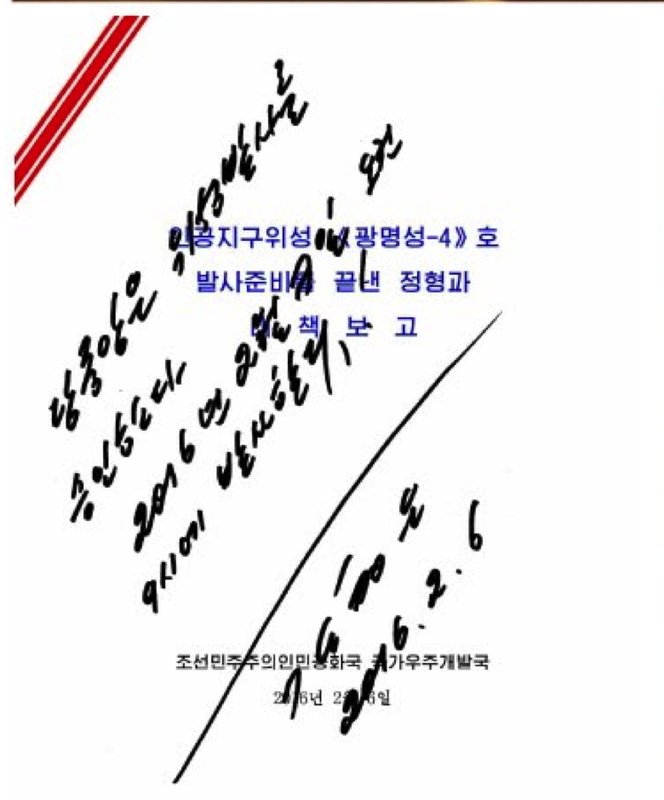 Kim Jong Un’s written authorization of the launch of the Kwangmyo’ngso’ng-4 dated February 6, 2016 (Photo: Rodong Sinmun). 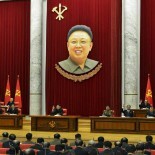 This article was written on 06 Feb 2016, and is filled under 2nd Academy of Natural Science, 7th Party Congress, Ballistic Missile Guidance Bureau, Central Committee, Central Military Committee, critical infrastructure, DPRK Cabinet, DPRK Civil Aviation, DPRK External Relations, DPRK space programs, February 2016 Rocket Launch, Guard Command, Hong Yong Chil (KWP MBID), Jo Chun Ryong, Kim Chong-un inspections, Kim Jong Un Visits, Kim Jong-un, KJI Personal Secretariat, Korea Committee for Space Technology, Korean People's Army Supreme Command, Korean People's Army (KPA), Korean Workers' Party (KWP), KPA General Logistics Department, KPA General Staff, KPA Large Combined Units, KPA Strategic Rocket Force Command, KPA supernumerary organizations, KPA Supreme Command, kpif, KWP Science and Education Department, Machine Building Industry Department, military security command [msc], ministry of people's security, Ministry of State Security, Ministry of the People's Armed Forces (MPAF), NADA, National Academy of Defense Sciences, National Academy of Science, National Defense Commission (NDC), NDC Administration Department, North Korean press, Organization and Guidance Department, Pak To Chun, Political Bureau, primary party committees, Publication Guidance Bureau, Ri Man Gon (N. P'yo'ngan WPK PC), Second Economic Committee, Second Economy Commission, Secretariat, State Academy of Sciences, State Science and Technology Commission, State Security Department.